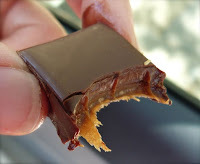 It was 103 degrees (F) in Sacramento, CA today -- and I trotted from the air conditioned Ginger Elizabeth Chocolates shop back to the car to photograph and eat these two caramels before they melted and slid out of my grasp. 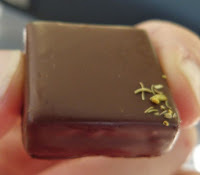 The fleur de sel caramel was well balanced: not too sweet, not too salty. The salt caramel filling was very soft, which I liked. The grapefruit fennel pollen caramel, also well balanced, was a tiny symphony of citrus and herbal flavors. 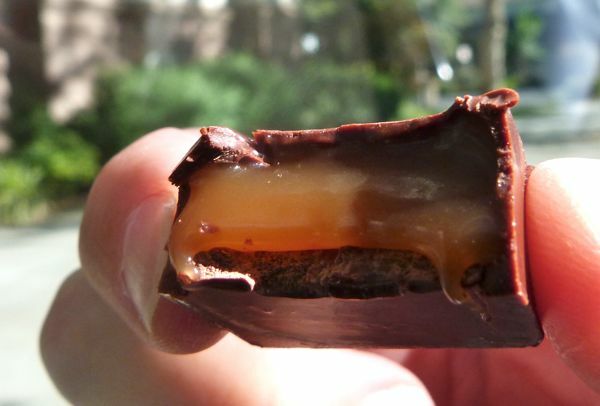 The caramel filling was less free flowing and a bit stiffer than the fleur de sel caramel -- probably better for this hot day. Today was Day #12 of Chocolate and Caramel and Toffee Theme Week(s). 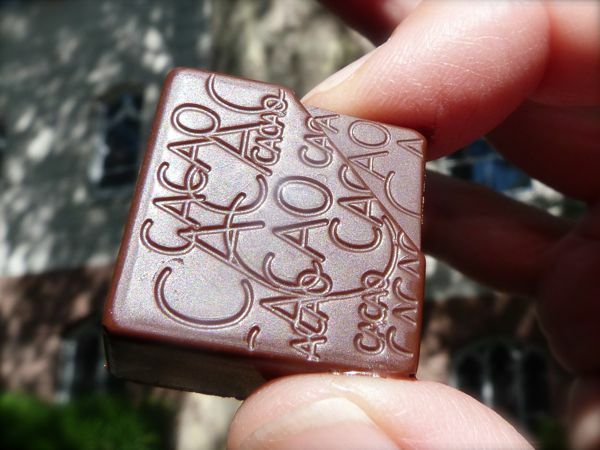 Note: While the chocolate eating continued, posting of information and images were delayed this week, due to travel.